The film centers around an NBA agent's actions during a lockout. So it would seem Soderbergh would be a logical partner for Netflix as the streaming company throws around large sums of money in an effort to continue to justify itself to subscribers. Now, the two sides will indeed partner up, as according to Deadline Netflix has purchased global distribution rights to Soderbergh’s next feature, High Flying Bird, a sports-themed movie from the writer of Moonlight set during an NBA lockout. The anticipated drama, set during a pro basketball lockout, follows a sports agent who pitches a rookie basketball client an intriguing and controversial business proposition. The film reunites Soderbergh with his The Knick star André Holland who also reunites on the movie with Oscar-winning Moonlight writer Tarell Alvin McCraney. Also starring are Zazie Beetz (Deadpool 2), Melvin Gregg (UnREAL), Sonja Sohn (The Chi), Zachary Quinto (Star Trek: Beyond), Kyle MacLachlan (Twin Peaks) and Bill Duke (Predator). Holland plays the agent, Beetz his right-hand and Gregg the rookie basketball player. Soderbergh has featured sports elements before, of course. Logan Lucky featured an attempt to rob Charlotte Motor Speedway during a NASCAR race, while the heist of Ocean’s 11 took place during a fictional Lennox Lewis-Wladimir Klitschko bout; Soderbergh was also attached to direct Moneyball. 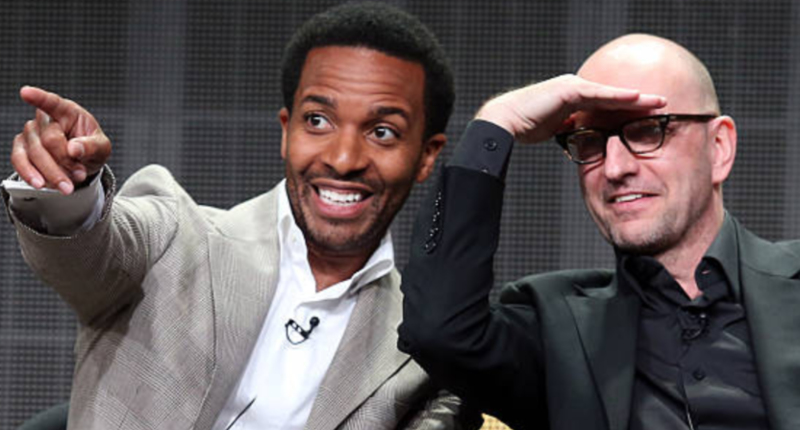 Soderbergh said of the Netflix deal, “We had several strong options for distributing High Flying Bird, but to borrow the patois of the movie itself, this deal felt like a slam dunk and the perfect way for me to begin my relationship with Netflix as a director.” Netflix is planning a 2019 global rollout. Whether the film manages to nail the modern NBA world remains to be seen, but with this cast and crew it seems like a good bet.